Bridget Minamore interviews the genre-defying troupe of Australian women of colour. Hot Brown Honey—a burlesque/cabaret/hip hop show that brings the stories of Australian women of colour to the foreground—is back. At last year’s Edinburgh Fringe, reviewers labelled the piece everything from “phenomenal” to “angry”. 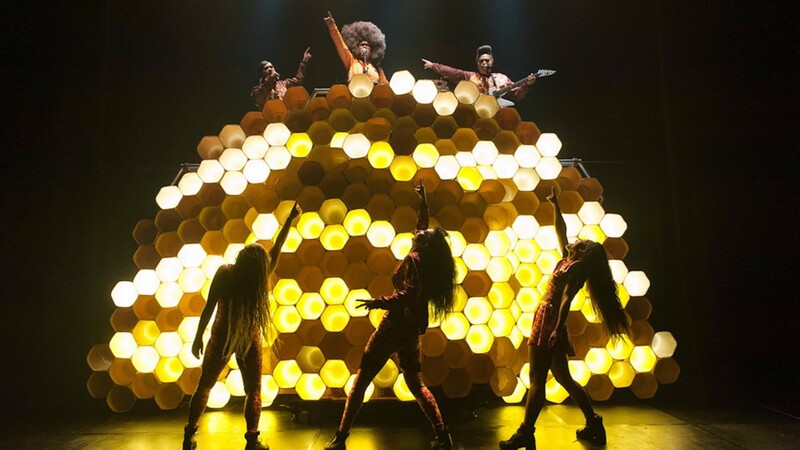 Amongst women of colour who work in and around the world of British theatre, Hot Brown Honey was a revelation. While I can’t speak for all of us, Hot Brown Honey was referred to in reverent tones by so many of the people around me. Lisa’s enthusiasm about the show and the women she shares the stage with feels infectious. Every sentence needs an exclamation mark, every statement is said as though she’s simultaneously announcing herself to an audience of thousands as well as whispering in your ear. Beyond the fact that they are a group of non-white women creating work by, for and referencing people who look like them, they’re also unapologetic about it, using everything from soul music to dance to MCing to get their point across. But what is their point? And what actually is Hot Brown Honey? Lisa’s carefully prepared answer is as simple and complex as the question is itself. “Hot Brown Honey is a smash-hit, genre-defying, award-winning, decolonizing firecracker of a show! A theatrical explosion of colour, culture and controversy.” Bringing together a cast of black, brown and mixed-race women with global First Nations heritage, the show “represents how we as Women of Colour intersect, smash stereotypes, poke fun at the world around us and rock the boat. We’re the latest models of our ancestry [and] we’re here. Centre stage, fiercely feminist, and deliciously disobedient. Fighting the power never tasted so sweet! When Hot Brown Honey bring their message, the best part of it all is that it works. People are listening and paying attention to people who, traditionally, have long been ignored. Saying that, navigating the British and Australian theatre worlds hasn’t been easy. When I ask Lisa if things have been difficult, she replies with a simple “yes, it has”. The reason? “Structural and institutional oppression in direct correlation with the colonial, heteronormative patriarchy. Goddamn! Ain’t nobody got time for that.” Hot Brown Honey definitely don’t. Hot Brown Honey will be at Latitude Festival 13 – 16 July; and Assembly Roxy 2 – 27 August as part of the Edinburgh Festival Fringe.